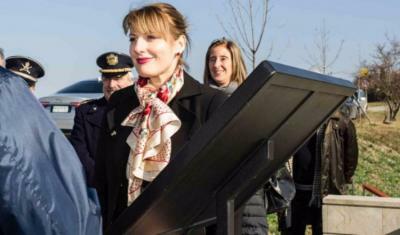 SAN MARINO – British Ambassador to Italy, Jill Morris, CMG, paid homage to the fallen Gurkha cadets of Sept. 18, 1944, in front of the monument in Monte Pulito, Faetano. Ambassador Morris and Head of the Township Council Fanny Gasperoni immediately agreed to develop future projects. 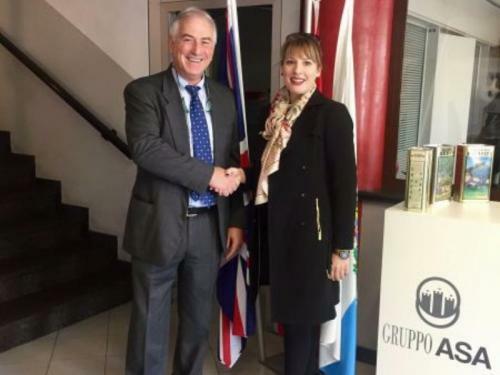 The British Ambassador also visited the ASA group during her trip to San Marino. Only a few days ago in Milan, Ms. Morris had presented the head of the company, Emilio Amati, a prestigious award for excellent developments in the UK with the acquisition of Central Tin Containers Ltd based in Liverpool. The diplomat was shown the structure of the company, the first group in Italy and among the first in Europe in the metal packaging market, and was guided through the business model and production workings.